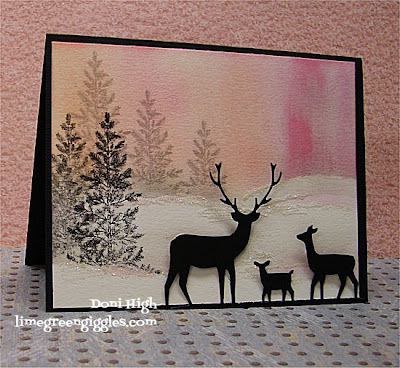 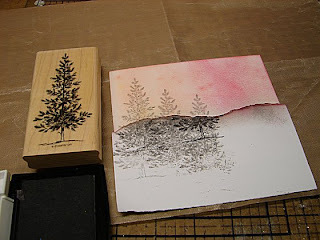 For Thursdays challenge on Splitcoast Stampers, Michelle challenged us to NOT use fall colors. 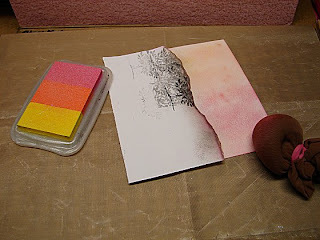 A pretty pink winter sunset definately isn't fall colors! This was fun to do and I like the way it turned out....ya never know when you start these things! 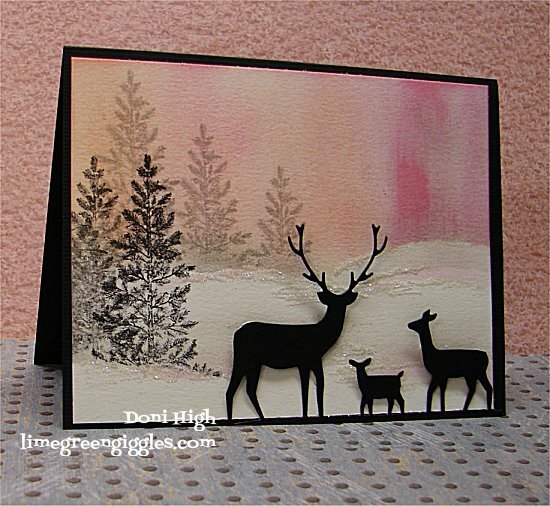 first start with a cardstock blank that is a little smaller than the card base you're going to put it on..
in my card that lets the black card show as a black border around the scene. 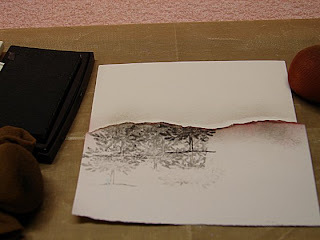 next tear a scrap of cardstock ( think rolling hills not sharp peaks)...You'll use this as a mask. My friend Nancy D. showed me how to make a cheap daubber out of nylon hose...works great! I used smokey grey ink then moved the mask down a tiny bit and did a little pink. 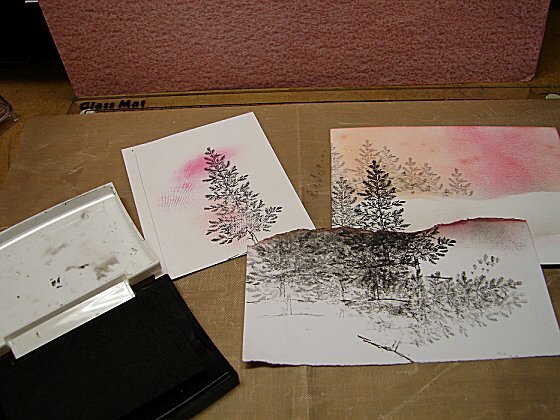 Now you're ready to do the sunset...use whatever colors you like...they don't have to be pinks..
Keep the mask in place and add trees... use grey and make the trees different heights. Almost done... add some super fine crystal glitter. 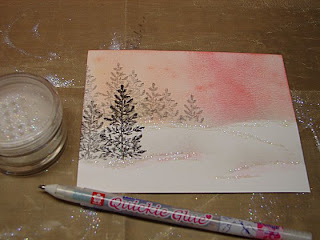 with the glue pen scribble some horizontal lines and then sprinkle on the glitter... shake off the excess. 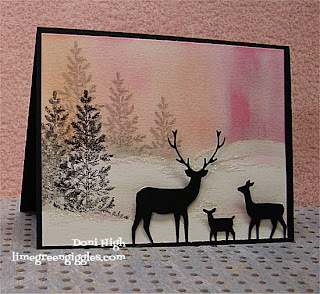 Now all that's left to do is mount onto the card blank and add the silhouette deers(they are a die from Memory Box ) I glued their feet down but use a tiny thin pop dot on their heads.